The Waverly Gallery, a Pulitzer-nominated play by Oscar winner Kenneth Lonergan (Lobby Hero), will appear on Broadway for the first time this fall. Oscar nominee Elaine May will co-star alongside current Lobby Hero headliner Michael Cera and Oscar nominee Lucas Hedges in a production directed by Lila Neugebauer (The Wolves). Previews will begin at the Golden Theatre on September 25 with an opening slated for October 25. May made her Broadway debut alongside longtime comedy partner Mike Nichols in An Evening With Mike Nichols and Elaine May. Her other Broadway credits include The Office, Taller Than a Dwarf, After the Night and the Music and Relatively Speaking. May is a two-time Oscar nominee for her screenwriting of Heaven Can Wait (with Warren Beatty) and Primary Colors. The Waverly Gallery will mark Cera's third appearance in a Lonergan play. He made his Broadway debut in This Is Our Youth and can currently be seen as Jeff in Lobby Hero at the Hayes Theater. Cera's screen credits include Arrested Development and Superbad. Hedges will make his Broadway debut in The Waverly Gallery. He was seen off-Broadway in Yen and earned an Oscar nomination for Lonergan's Manchester by the Sea. Hedges was also recently seen on-screen in Lady Bird and Three Billboards Outside Ebbing, Missouri. The Waverly Gallery is about the final years of a generous, chatty and feisty grandmother’s final battle against Alzheimer’s disease. Gladys is an old-school lefty and social activist and longtime owner of a small art gallery in Greenwich Village. The play explores her fight to retain her independence and the subsequent effect of her decline on her family, especially her grandson. The Waverly Gallery played its world premiere in 1999 at the Williamstown Theatre Festival, making its off-Broadway debut at the Promenade Theatre in 2000. The creative team of Broadway's The Waverly Gallery will include Tony winner David Zinn (scenic design), Tony and Oscar winner Ann Roth (costume design) and five-time Tony winner Brian MacDevitt (lighting design). Additional casting will be announced at a later date. 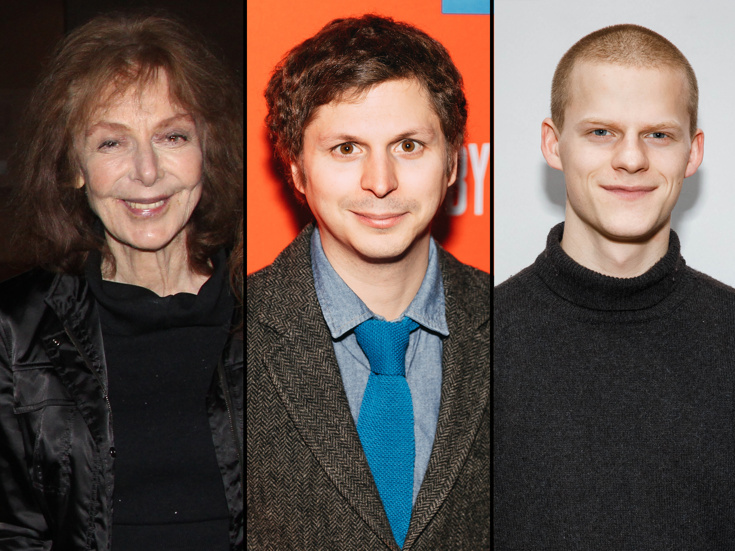 Elaine May, Michael Cera and Lucas Hedges star in Kenneth Lonergan's Pultizer-nominated work.